In culture, literature, and theory, the 1960s marked the beginning of postmodernism. And quickly the prefix post- became the operative way of understanding the world: post-war, post-structuralism, post-colonialism, post-industrialism; then, post-human, post-Boomer, and post-punk; more recently, post-millennial and post-apocalyptic; and for a least a little while in 2008, post-partisan and post-racial. (Many a postdoc has been devoted to developing post-anything.) Post- became more than a prefix—it became a worldview, an epistemological category. But what, students in my class on postmodern literature reasonably asked, can possibly come after postmodernism, or post- anything? More post. 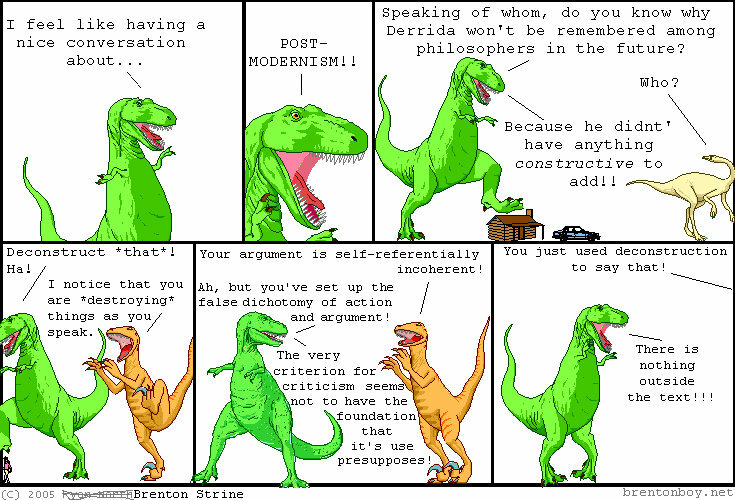 Post-postmodernism. [Shudder]. Post- is the prefix that devours itself, since it is always after, belated, still waiting, and deferred. Nothing can come after post-. Nothing except, with apologies to Existentialism, a new kind of nothing. Un-, like post-, is not a word. Unlike other prefixes, however, like pre- or post-, or re- or un-’s near-relative, under-, un- does not describe, affix in time, suggest repetition, or, like mis- or mal-, even suggest that something is wrong. Unlike with-, dis-, de-, counter-, anti-, or even the powerful non-, un- does not suggest opposition, working against. Un- suggests more than reversal or opposite: it is negation, disappearance, taking out of existence. And if post- described the world after about 1945, Un- describes the world from 2000, or maybe 2001, to the present. We are living in the era of Un-. Now, I realize that lots of words began with Un- before 2000. I used “unlike” twice in the last paragraph alone. But I used it as a preposition, “dissimilar from.” On Facebook, unlike is a verb: if you click Like, and then decide that you don’t like that thing anymore, you can click Unlike and it will erase your Like. Since Facebook does not have a Dislike button, Unlike is as close as people can get. But Unlike is as different from Dislike as unable to disable, unaffected to disaffected, unarranged to disarrange, unfortunate to disfortunate (which is sort of a word). Which is to say, very different. Both suggest opposition, but dis- implies an active opposition, expending energy to reverse. Un- feels passive, a kind of vanishing—or worse, the suggestion that the thing never was in the first place. 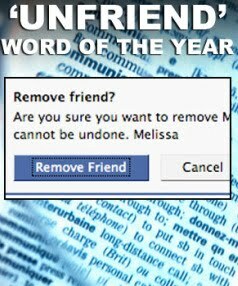 When we Unfriend on Facebook, we do something we cannot do in real life or face to face, which is presumably why the word had to be recently invented. We don’t Unfriend corporeal people. We just—what, exactly? Stop being friends? Spend less time together? Drift apart? Or something stronger—not a drift but a rift. A fight, a falling out. We’re not on speaking terms anymore. But not Unfriend. 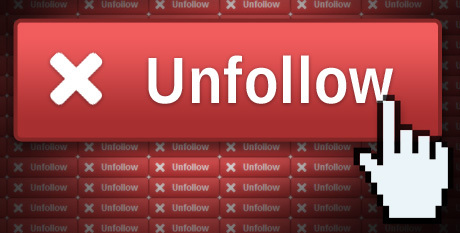 We can only Unfollow online, on Facebook or Twitter. We can’t Unfollow in person. Unfriend and Unfollow seem etymologically and epistemologically close to Untouchable, with the implications of prohibition, exclusion, disappearance. Unclean. Like many people who spend time at their keyboard, I have become reliant on Delete, on Backspace, on Undo. 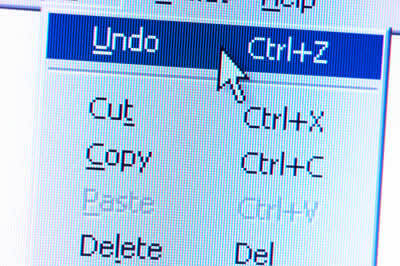 When I knock down a glass and wish it would float back in a startling cinematic backwind, or misplace my book and want it to reappear, or say something that I want to take back, I can picture Ctrl Z clearly in my mind’s eye. But it does not Undo. Glasses do not unbreak; books are not unlost but rather must actively be found (without Ctrl F, either). Words that are unspoken were never spoken, not spoken and stricken. We say, I take it back. But the words cannot be unsaid. Judges instruct juries to ignore testimony, but lawyers know that jurors cannot unhear. Judges cannot unstruct. Traumatized viewers cannot unsee. And so Un- fails at complete erasure. Like a palimpsest, Un- can’t help but leave traces of its former self behind. The close reader can see what used to be there, the residue of virtual Friendship, the electronically unsettled path left behind after one has Followed, or been Followed. And perhaps this failure is for the best. The only thing more powerful than Un-’s fever dream of retroactive disappearance is that the wish cannot come true. If anything, the electronic world that birthed the fantasy of Undo is the same one that never lets us scrub our online prints away. P.S. Please Like and Follow this blog. Track 1: This is me, around 1991. I still had long hair in my dreams for years after I cut it. Track 2: Eight years, age 15 to 23, I could only imagine music, being a Famous Rock Star. It’s hard to say how many hours a day or days a week I practiced, because it was never work. Even then, I loved that English used to the word “play” for an instrument, because that’s what I felt I was doing. But it was as much as I could: a few hours a day, not including at least six hours a week of band practice, not including at least two shows a month, not including going to other bands’ gigs twice a week. I held down a job (record store) and earned easy A’s in school, but I lived music. Track 3: And then, suddenly, I didn’t. I spent the next decade learning to be a reader, writer, teacher, husband, and father. For years, I didn’t even have a guitar. No one knew who I used to be, who, in some sense, I really was. Music was the secret identity I left behind. It was too hard to be everything. Like the mopey tween calendar montage in Twilight: Breaking Dawn, or the mopey tween sun rising and falling montage in Beastly (I need to lay off the mopey tween monsters), time passed. And as time was passing, something interesting happened, almost behind my back: music went digital. Track 4: I am no vinyl purist. I’ve always preferred electric to acoustic. Unlike the fans who booed electric Dylan in 1965, if my favorite heavy rock band showed up with acoustic guitars, I’d boo them. (I’m looking at you, Nirvana.) Thank God the unplugged fad of the 90s is over. I ain’t gonna work on Maggie’s Farm no more, either. Yet I can see why the folkies didn’t feel that electric music was authentic. 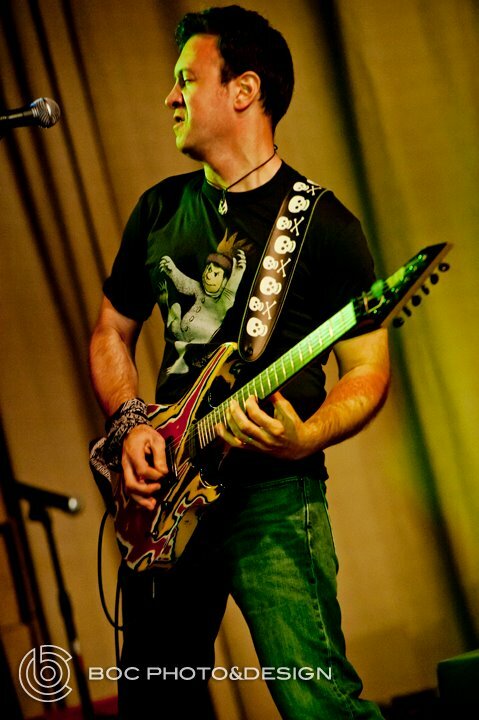 The electric guitar puts more steps between the player’s fingers and the listener’s ear. Not just the vibrations of the string, but the pickup, the signal, the wire, the amplification, and the distortion—sweet, dirty, deliberate distortion—of the signal. The electric sound of the guitar’s amplification is then further captured electronically by microphones, processed even further into the analogue of reel to reel tape, then mastered onto vinyl. So many steps in the process of producing and reproducing the sound, each step, for the purist, one further away from the original. Not the reel but the real. Track 5: Walter Benjamin, from “The Work of Art in the Age of Mechanical Reproduction” (1936): “That which withers in the age of mechanical reproduction is the aura of the work of art.… By making many reproductions it [the technique of reproduction] substitutes a plurality of copies for a unique existence.” The part that messes with people today is that Benjamin, a Marxist when the word still meant something, saw this AS A GOOD THING. The destruction of the aura could only benefit the masses. With the artwork’s aura destroyed, the work’s hegemonic power, not artistic power, its elevated class and economic status, would disappear, since the same picture would be available to all. Technology, and ultimately “the capitalistic mode of production,” could “create conditions which would make it possible to abolish capitalism itself.” Yet that is not what has happened to art in the time since Benjamin wrote his essay. 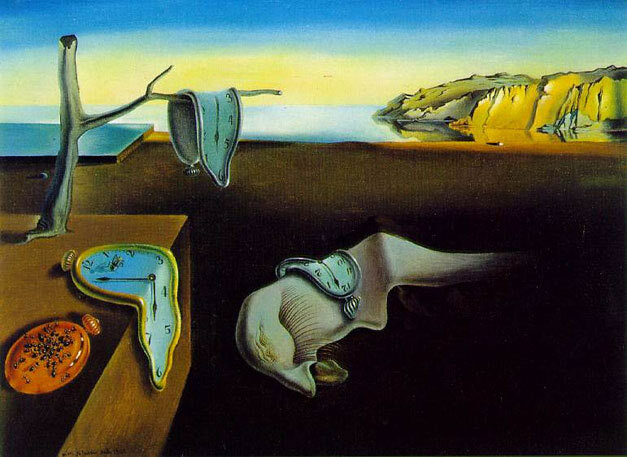 Instead, the more frequently a work of art is reproduced, the more expensive and more coveted the original becomes. Look at yesterday’s New York Times article on the subject of rich, famous art—including Munch’s Scream, mentioned in last week’s entry, now likely to “fetch” (Times’ word choice) $150-200 MILLION. That’s some puppy. But music is an altogether different animal. It wasn’t records or tapes that finally destroyed music’s aura, but digital reproduction. Music, in every sense of the term, now is free. Track 7: But I started to listen to music again, and play. A few years of noodling, riffing, realizing that the hours of play had hardened into neural muscle memory and that there was no remediation needed. My first real foray back into playing came when I bought a new amplifier last year, a Fender G DEC 3. Not to get all ad-speak with Walter Benjamin in the room, but it’s a clever idea: build MP3 backing tracks right into the amp and loop them to simulate playing with musicians. As an actual amplifier by itself it doesn’t sound that great. In fact, it sounds exactly like a digital simulation of an electric guitar amplifier. But with the simulated tracks, the simulated sound is perfect. And as recorded by my digital camera, and uploaded onto my laptop, and linked to the world wide intermesh, and fed through your speakers, who can tell? But because it’s digital, we could reproduce it a thousand times, a million more times, and it would sound just like the original. Benjamin missed his prediction for art, but foresaw the future of music. Track 8: Then, not long after I got the amp, I started playing again, for real, with actual people. And it’s not like playing with simulated tracks at all. I could hardly eat before or after each rehearsal, and when we were done I left wracked with stomach pain. I thought it was the stress of singing after a long hiatus, the churn of old pipes and machinery, or even nerves. But later, I realized I recognized and remembered that pain. Time: Over again, which is becoming the new norm. Eighty minutes, not including making the amp video just for this occasion. Time to go back in time to 60 minutes. Spoiler: When someone reveals a previously unknown aspect of something which you likely would have rather learned on your own. *discussions of art media such as video games, movies, etc. especially vulnerable. It turns out that my wife (who blogs about food here) has not been reading Hourman. She is worried that I have given away the end of The Hunger Games, which has been collecting dust on her nightstand for two weeks. Yet is it really possible to give away the end of The Hunger Games? Once you read the back cover, or see a commercial for the movie, or have any idea what it’s about (hunger; also, games; possibly vice versa), and once you know that it’s part of a trilogy (see: inside cover) it seems impossible to give too much away, since it’s highly unlikely that Katniss can possibly be killed in the book. What do you think this is [Spoiler alert! ], Game of Thrones? But thanks to the Internet, we live in a perpetual No Spoiler culture, where the worst thing a website, blog, critic, or writer can do is reveal an important plot detail or, God forbid, the ending. The issue, for me, is twofold. First, time does not exist online. 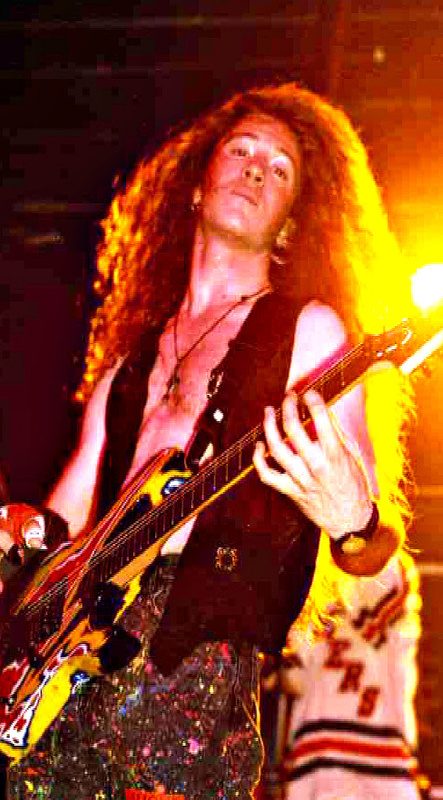 Not in the timesuck sense of murdering an hour on Facebook or, for me, looking longingly at lovely Les Pauls on Ebay, but rather in the contextless void of cyberspace, where all people, living or dead, and all music and video simultaneously coexist. Abba to Zappa, Beatles and Bach and Beck, are all just keywords, timeless—in the not necessarily classic sense. Music doesn’t have spoilers, though. Yet with movies, there is no longer a statute of limitations for how long someone is supposed to wait before you’re Allowed to Talk about Fight Club, since it will always be brand new, eternally, online, to someone, somewhere. 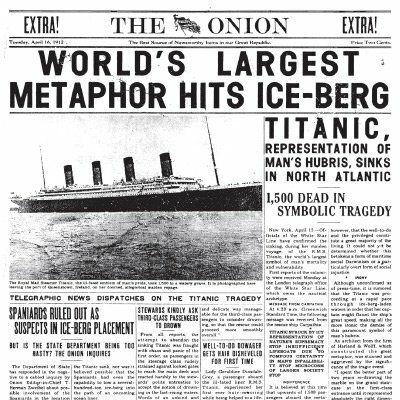 In other words, online writing, in its perpetual present, is expected to maintain the rhetoric of old media newspaper movie reviews, which essentially summarize the premise, or roughly the first act of a movie, with a little subjective commentary about whether the reader should see the movie or not, preferably with 1-5 stars as an EZ guideline. This is very different from critical writing, college writing, and academic writing, where the presumed audience is someone who has (likely) read the book or seen the film in question and is interested in analysis, not a recommendation—and who already knows the twists and details. ‘Cause the thing is, I need to be able to discuss the work in its entirety to discuss it at all. The difference between The Lion King and Hamlet is the difference between the wayward Prince reclaiming his betrothed and kingdom, vs. everybody dying horribly. Possibly also: singing animals and fart jokes. I love Fight Club in both book and movie form and I love the fact that the story makes you think. 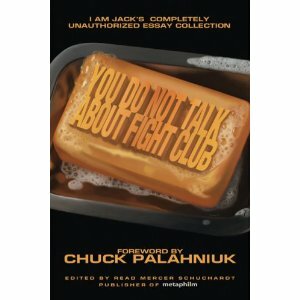 So picking this book up seemed like a must for any Fight Club/Chuck Palahniuk fan. I’m only two essays into it and my interest is already losing traction. The first essay was painfully overwritten considering the context of the book and the audience who will probably be reading it. If you don’t have your dictionary and a good understanding of philosophy both basic and advanced, you’ll probably struggle through it hoping the book gets better as I did (it does). Long, complex sentence structures, insane words and hybrid words I recognized but didn’t know the meaning of and philosophy references that I had never heard before all conspired to ruin this first essay for me rather quickly. Another major complaint I have–again with the first essay since I’ve only read two so far–is that there is no spoiler alert at the start of the essay. Well let me just warn you now, the first contributing essay will ruin a good majority of Chuck Palahniuk’s novels if you haven’t already read them. The author goes off endlessly and in detail about his theories on Chuck’s other books, describing in detail certain aspects of the story and the book’s overall outcome. So annoying trying to skip over stuff that seemed spoiler in nature. I haven’t read Chuck’s other books yet and now I don’t need to; the surprise is ruined. The “first essay” in question was written by me. And I didn’t realize the possibility that what I was writing was “spoiler in nature.” I thought I was writing about books. Leaving aside that this reviewer thinks it’s a problem to read an essay that uses words and philosophical references that he has “never heard of before” (JFGI, kid), I turn to the second issue: the No Spoiler fetish overemphasizes the importance of plot. OK, maybe in fairness to my Amazon detractor, with a Chuck Palahniuk or an M. Night Shyamalan or a Quentin Tarantino—people who traffic specifically in the twist ending—you don’t want to know that at the end of Fight Club oirjrnjnriwbecbwqhjbediuwrenrfnewroin. Or at the end of The Sixth Sense it turns out that Bruce Willis’s character wfnwenfrewijgtmhoiweb, or at the end of Unbreakable, Bruce Willis’s character learns that lkjsfrohjdeoifhqwiuewqnbe, or at the chronological end but narrative middle of Pulp Fiction, Bruce Willis’s character oiewhfiunewicnbewfndekjwncen. These movies, like Bruce Willis, have been out for decades. At what point is it safe to declare a Spoiler moratorium? The thing is, there are many, many reasons to read or watch a story aside from the stuff that happens. If anything, Palahniuk’s, Shymalan’s, and Tarantino’s best work transcend plot entirely and enter into the much more interesting realms of style, voice, and narrative structure, aspects of storytelling that, like sweet, sweet honey, naturally resist spoilage. If all anyone wants is plot summary, go read Cliff’s Notes. Or if that’s too long, the Cliff’s Notes of Cliff’s Notes, Wikipedia. If someone likes an author, even the most egregious spoilers shouldn’t actually ruin (the word used twice in the review) much of anything. I’m a fun guy, so, let’s play mold to film’s gentle bread and spoil some endings, shall we? Now, maybe this is too glib. After all, I suppose it’s the particular details of the plot, not the overall trajectory or ending, that rankles the Spoiler-sports (Alternate names for people who want to stop spoilers: the Refrigerators? The Tupperwares? Or are these just terrible band names?). For example, in Titanic, it’s not the boat, it’s that [Spoiler alert, despite that it’s the second highest grossing movie of all time] Jack dies; in Harry Potter [Spoiler alert, even though it’s the bestselling book series and third highest grossing movie of all time], the epilogue flashes forward to a future where Harry and Ginny are sending their bully magnet-named son Albus Severus to Hogwarts; in LoTR [Spoiler alert, even though—ah forget it], Frodo destroys the ring but is altered by the experience and can’t go back home; in The Empire Strikes Back [oh no he di’n’t], Luke is revealed to be Darth Vader’s son. I’ll go one further: I don’t like surprises. 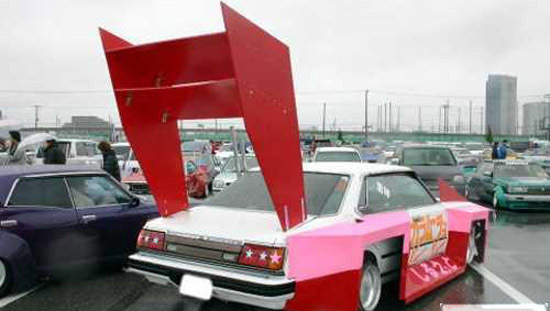 Let’s hear two cheers for spoilers. Once you’re free from the filmic tyranny of What’s Going to Happen?! ?, you can actually sit back and enjoy the show. As everyone knows, “spoil” can mean ruin. But that’s not my problem. The grownups who disrespect Like as an emptyheaded Valley Girl tic at best and the Decline of Western Civilization at worst tend to “Um” a lot themselves. Same idea, and less endearing. It helps the brain keep up with the mouth, which is not a generationally-specific problem. No. It’s the Facebookization of Like—here, regarding something as enjoyable or pleasant—as an inadvertent philosophy of life, the way of viewing and assessing the world. Online, Like turns from tepid tolerability—the way I think of the word—to the highest form of admiration. In the absence of an actual comment—and many pages seem not to allow or encourage comments—Like is the only permissible form of praise at all. It is not even a dichotomy—a twofold world of Like and Dislike. There is no Dislike. It’s not even Like or Ignore. It is Like or nothing. If you don’t have anything Like to say, you can’t say anything at all. Some enterprising types can Like something and then click Unlike. But Unlike [grumble not a real verb grumble] is no Dislike, and it reverts the former Like into ether, faint protest indeed. 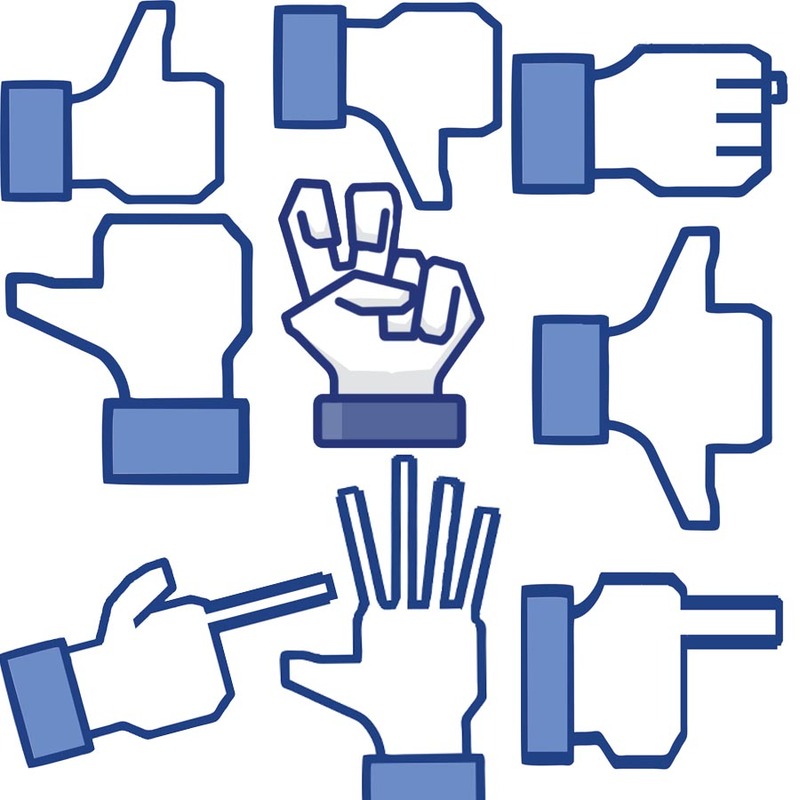 Unlike legions of Facebookers, though, I do prefer the absence of a Dislike button on Facebook. 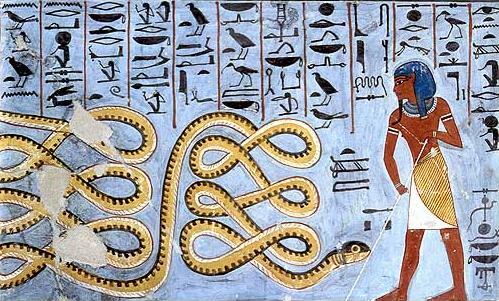 That Manichean universe of Like and Dislike belongs to YouTube, whose green Likes and red Dislikes on any given clip represent a never-ending battle comparable to that of the Egyptian god Ra—symbolizing order—to prevent the dragon Apep—representing chaos—from devouring the sun every evening. It’s not like I want Facebook to go down this road. But rather, I worry that, imperceptibly, a generation is being trained to think that the highest—and maybe the only—form of acclaim is Like. Even Dislike—or the New York Times’ new Meh List—is still part of the limited Like spectrum. But is Like all there is? Aren’t there many other worthwhile reactions beyond and separate from the question of Like? Should everyone take a trip to the Holocaust Museum? Yes. Is it fun? Do you Like it? These are simply the wrong questions to ask. I read—and just taught a class on—novels representing or responding to September 11, 2001. Do I like them? Um, I guess. But I’m interested in, and fascinated by, recent fiction’s attempt to create a narrative around fresh trauma, and in doing so, deliberately and dangerously making the day into something literary, even poetic. It’s not about Like. I just watched 127 Hours. Did I Like it? It depends on what you mean by Like. Did I enjoy watching James Franco cut off his own arm? Drink his pee? Sweat and hallucinate? Not so much. The early scenes are filled with anticipation, anxiety, and dread, since the viewer experiences the dramatic irony of seeing Aaron (Franco’s character) forget his knife and not answer his mother’s phone call. And the money shot of losing the arm—plus the post-op ending—are excruciating. But it was brilliantly done, it made me feel things that a movie has never made me feel, and I’m glad I saw it. Like doesn’t even enter into it. Do I Like Tabasco sauce? Grilled asparagus? Like John Zorn’s dissonance? Like William Faulkner’s or Gertrude Stein’s frequent impenetrability? Like exercise, even though I always feel as though I’d rather be doing anything else? Like repeating the same riff on the guitar a thousand times until I get it right? Like writing? Sort of. I guess. If that’s my only choice. But I relish all those experiences. For that matter, would I click a Like button on Eating or Sleeping, as Facebook has often, to me absurdly, recommended, despite that both have millions of Likes? As Nietzsche did not write, what lies beyond Good and Evil and Like? Where is my Ambivalent button, with a thumb simultaneously up and down? (I would use it on Henry James.) Is it better to be feared than Liked, or Liked than loved, or Liked than feared? I fear that no matter how good it feels to Like, or be Liked, Like as sole criterion makes the world a little smaller and lot safer. One measure of adulthood, then, is not whether you’re annoyed when kids say “like,” but rather that you can accept, even embrace, those complex, dangerous pleasures outside the very latitude of Like itself. P.S. Don’t forget to Like this post. Time: 60 minutes, not counting the time wasted reading horrible YouTube comments. And: I lied. I didn’t make the sandwich until after I finished. And also: My thirteen year-old son Jonah designed the image at the top of this post. I think it took him more than one hour. Thanks, Jonah.